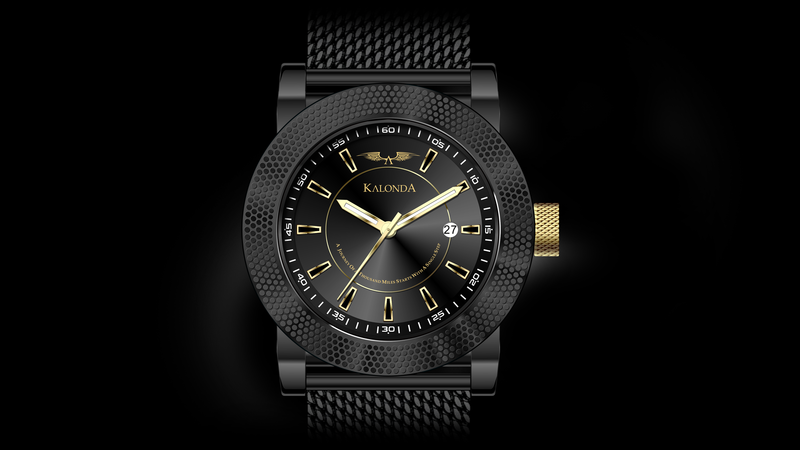 The Royal Black watch is one made for the mysterious and more modest of kings, he does not flaunt or taunt, he does not always talk, but when he does his words are as strong as his deeds. But do not challenge the modest king, for there is but one king that rules the kingdom. The color black is the color of mystery and power, authority and control. The color black is not for all, it seeks out those who are fit to wear this powerful entity as an extension of their selves. Kings who wear black are sophisticated and dignified, ruling out others as they thrive. Every watch in the Royalty Collection has its own quote. 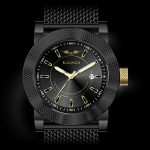 The Royal Black Watch quotes: “A journey of a thousand miles starts with a single step” This quote has been created to motivate and remind the wearer of his passion, ambition and dreams. 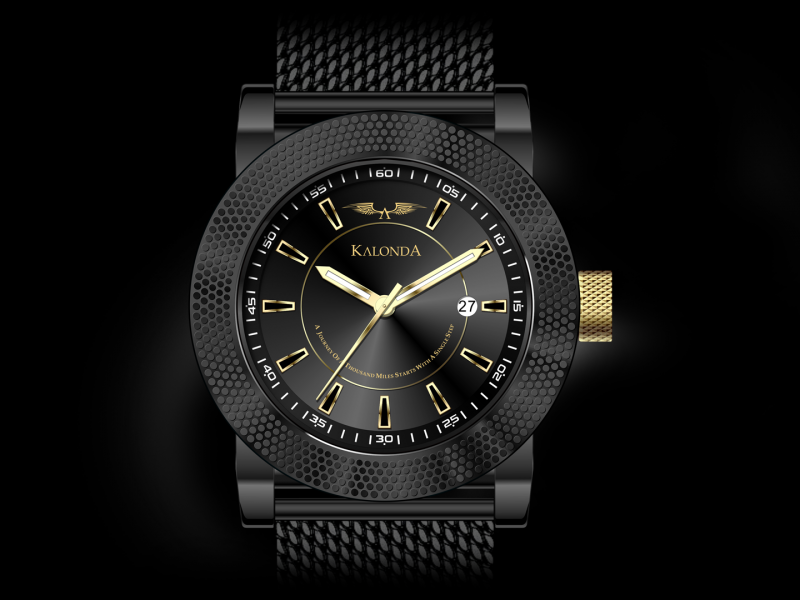 The Kalonda Royalty collection is a blend of simplicity and detail, it catches any set of eyes. What is a king without a proper crown? The stainless steel mesh band stands symbol for the armor of kings. It’s tough as plate, yet it provides a comfort fit on any wrist. Never give up, even when the road is full of obstacles. The ones who continue no matter what will be richly rewarded. The box is designed and crafted to provide the owner with that luxurious feel.